Time for the pig to squeal. Image from China Travel Guide. Chinese New Year (also known as Spring Festival), starts on February 5 this year and continues for 15 days. It’s the most important festival time of the year in China — when millions of Chinese travel to their home villages and cities to be with family or friends for holiday reunions. One of the world’s most celebrated festivals, Chinese New Year is also a star occasion in Hong Kong, Taiwan, Vietnam, Malaysia, Singapore and some other Asian countries as well as Chinatowns around the world. And in recent years, the celebrations in New York, London, Vancouver, Sydney and other overseas cities have spread out of Chinatowns. Parades with dragon and lion dances and fireworks, family feasts, and, on the final day, a Lantern Festival illuminated by red lanterns are all traditional. Come to Alaska — to Bask in the Sun! Fairbanks’ Midnight Sun Festival draws big crowds at the Summer Solstice. As a big fan of Alaska travel and someone who’s written about the state a fair amount, I realize I’ve been amiss in not previously mentioning one of the 49th state’s premier events: Summer Solstice in Fairbanks. Just 140 miles south of the Arctic Circle, the city of Fairbanks is the top spot in Alaska to celebrate the Solstice on June 21. The Solstice is the apex of the Midnight Sun season, which runs there from April 22 through August 20. During the Solstice, the sun never dips below the horizon and the sky never gets dark. So on June 21 or thereabouts, Fairbanks residents and visitors can either pull down the blackout shades when it’s time to go to bed or give into reality and just decide to stay up half the night. Yu Sheng, the salad that Malaysian Chinese toss to ensure prosperity for the coming year. Photo by Jade Chan. Chinese New Year (also known as Spring Festival), starts on February 16 this year and continues for 15 days. This is the Year of the Dog, which is one of the 12 rotating Chinese Zodiac signs. Those born in the Year of the Dog are thought to be loyal, industrious, and courageous. Chinese New Year is now celebrated by parades featuring dragon and lion dances and fireworks, family gatherings and feasts, and, on the 15th and final day, a Lantern Festival featuring illuminated red lanterns. This is the year that the Rooster gets to crow. Chinese New Year (also known as Spring Festival), starts on January 28 this year and continues for 15 days. This is one of the beautiful images you’ll find on StrideTravel.com. Photo by Dennis Cox. In practical terms, Stride aspires to be — and in many ways already is — the best place on the Web to survey the wealth of multi-day, pre-planned trips that are now available from hundreds of travel suppliers around the world. It’s Mardi Gras time in Louisiana, and not just in New Orleans. A few years ago I was in Lake Charles, Louisiana, during Mardi Gras, and while the carnival festival there is more low-key than in New Orleans, it’s said to be the second largest in the state. Along with a few other visiting travel writers, I was invited to ride on the local Convention and Visitors Bureau’s float, which led the midday parade. Best of all, we were also invited to throw out beads and candies to the folks lining the parade route. Chinese New Year (also known as Spring Festival), starts on February 8 this year and continues for 15 days. This is the Year of the Fire Monkey: a combination of fire — one of the five primal Chinese elements that include wood, earth, fire, metal, and water — and monkey, which is one of the 12 rotating Chinese Zodiac signs. What town is named after this “jolly old elf”? 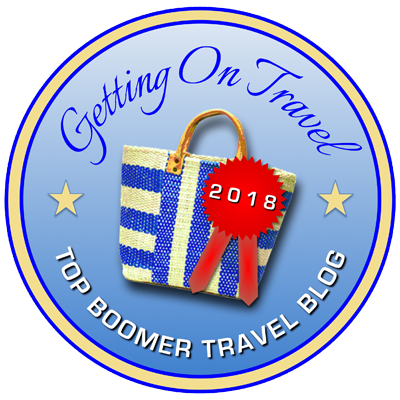 Christmas is a popular time to travel, especially for baby boomers escaping cold weather (those who live up north) and/or taking advantage of their empty nests (if applicable). And if you have grandkids you don’t want to part with at Christmastime, you can always take them with you! One option is to put together a Christmas-themed vacation. But how much do you really know about where to find Santa Claus, reindeer herds, unique Christmas trees, an It’s a Wonderful Life festival, or an island named Christmas? Take our quiz to find out (answers coming in my next post; try to resist googling or risk finding lumps of coal in your stocking). Dunure Castle, Scotland. Photo by Oliver Clarke, Flickr. Baby boomers will have heard about many of these attractions most of their lives (Harry Potter sites and Edinburgh Festival Fringe excepted — but it’s always good to experience something new). Today (as I write this) is Chinese New Year’s Eve, celebrated by Chinese all over the world. February 19 marks the beginning of the lunar New Year, which then continues for 15 days of festivities. This is the Year of the Goat – or Ram, or Sheep, depending on the source, and perhaps where you live. One theory has it that if you live in a country with more goats, you’re more likely to call it the Year of the Goat. If sheep are more common, then you’re more likely to call it the Year of the Sheep or Ram. For instance, in the U.S. it’s more commonly called The Year of the Sheep or Ram, while in goat-loving France it’s the Year of the Goat.